Back to Main Website > Blog/News - Here you can read all the latest news and developments on what we have added to the website. We are pleased to report that our display at the Chalke Valley History Festival went down really well. We displayed over two days on 27th & 28th June. The short video below gives you a flavour of what we displayed. Hundreds of people past through our tent and we obtained many new leads. Our display was complemented by 5 Aux re-enactors from Yorkshire and Suffolk. They showcased the weapons and explosives issued to Aux patrols and made things go bang twice daily. Images of the event and more info can be seen here. WIN: A family ticket (Two adults, three children) to The Daily Mail Chalke Valley History Festival in Wiltshire worth £40 on Saturday 27th June. You can come and see our stand as well. All you have to do to enter is LIKE & SHARE our post on Facebook. 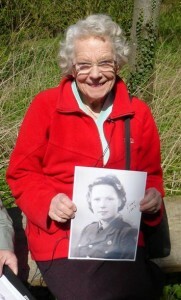 On 11th April former ATS Cpl Joan Welborn returned to GHQ Coleshill for the first time in 72 years. Joan was guided around the site by Bill Ashby, our Coleshill Researcher. 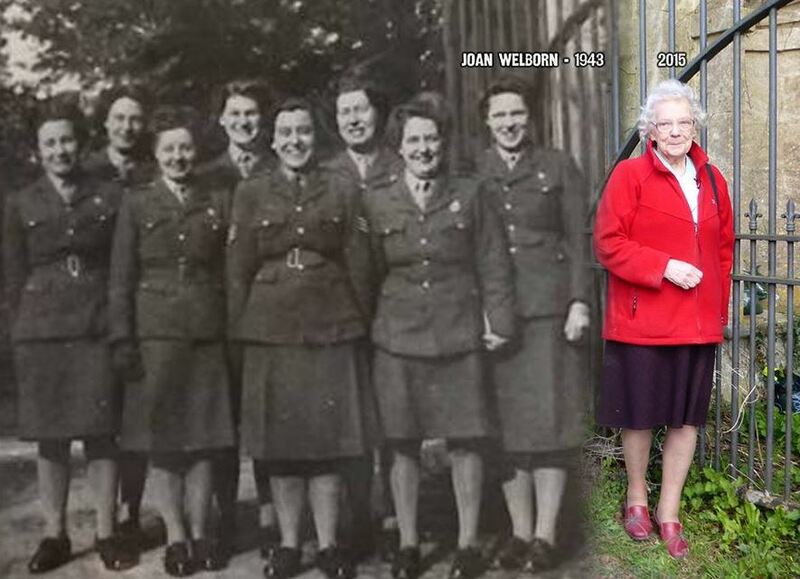 Joan arrived at Coleshill on May 22st 1943 and worked in the orderly room which was located on the first floor of the Stable Block above the stables. Joan worked for Camp Commandant, Captain Benson who had an office nearby. Although she had electricity her office was very cold and she used to type wearing woollen mitts. We took her into the stable block to find her office. We wanted to take a photograph of Joan by the same gates she stood by in this picture with her colleagues. Bill then showed Joan the replica Operational Base and she was brave enough to venture inside where she was met by National Trust Volunteer Roger Green. Joan is one of only a few Coleshill staff members to return to the site after travelling down from Leeds. Our thanks go to her and her family for a great day. You can read more about Joan here. See a whole gallery of images of the trip here. We are pleased to announce we will be displaying at the Chalke Valley History Festival this June. For more info please see here. We are very sad to say that Ted Jefferies has passed away. 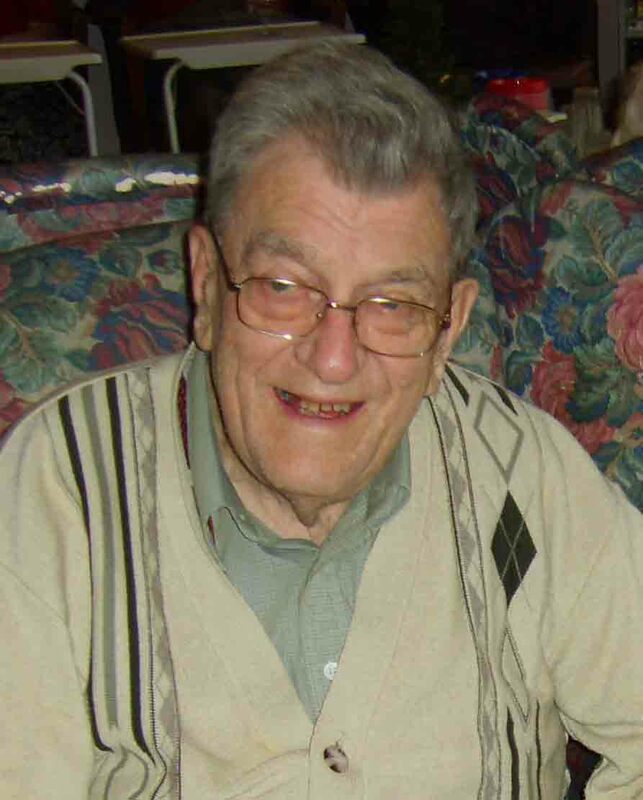 He left us on Friday 21st March at his home in Highworth. Ted was a Boy Scout during WW2. Too young to enlist, his war was spent in the rural market town of Highworth. Ted was recruited to his role as a secret messenger for the Auxiliaries. Too young to sign the Official Secrets Act, he had to give the Scout’s oath as he was sworn to secrecy. As a Boy Scout, he was unlikely to attract suspicion or attention from the invading Nazis, but his uniform was easily identifiable by those agents who trained at Coleshill. Today we added a report by Aux researcher Darren Thompson to our Special Duties Microsite. Darren found the location and with the help of CART’s DR Will Ward and the local history group has prepared this report. The Special Duties Branch was a network of civilian observers and a secret wireless network, operating in the same areas as the Auxiliary Units operational patrols, but completely separate and unknown to them. 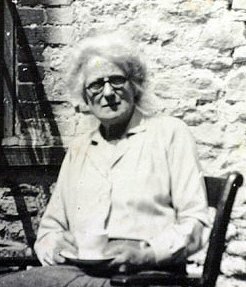 Today a panel detailing the history of the Aux Units and postmistress Mabel Stranks was unveiled at the old Post Office in Highworth. UPDATE – CLICK HERE TO SEE MORE ABOUT THIS EVENT. During the dark days of 1940 with the Nazi army poised across the Channel a secret resistance force was being set up across the country. Scores of volunteers who were in jobs considered too important for the war effort for them to be called up to the regular forces were being asked to undertake what amounted to a suicide mission in the event of an invasion. 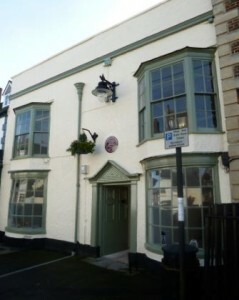 It is difficult to imagine what role the sleepy market town of Highworth and its postmistress, Mabel Stranks, could have played in this drama but over the last few years their considerable significance has been revealed, and now a new panel is being placed at the former post office in Highworth commemorating their part. The aim for the resistance force, or Auxiliary Units as they were officially known, was to have small groups of highly trained, well armed men who in the event of an invasion would disappear to their operational bases hidden beneath the British countryside. They would wait for the invasion to literally pass over them and then appear at night to disrupt the enemy supply chain, destroy transport and supplies, ‘deal’ with collaborators and generally make a nuisance of themselves to allow the regular army to counter-attack. In order to get the level of skill needed a training camp was required and Coleshill House, less than three miles from Highworth was selected as the perfect location. All of those that volunteered signed the Official Secrets Act and had to be properly vetted before being allowed near Coleshill. To maintain this secrecy and to ensure that those who had not been selected and vetted did not get through to the camp, recruits were ordered to arrive at Highworth and report to Mabel Stranks. and be told to wait. Mabel would then go into her office and make a series of phone calls. A car would then arrive and those ‘screened’ as official by Mrs Stranks were driven to Coleshill House by the most indirect route. Those suspected as being unofficial by Mabel were taken elsewhere. The Highworth post office proved to be such an effective tool that it was aptly given the name the ‘Auxiliary Gateway’. After arriving at Coleshill volunteers would be trained to do everything from blowing up bridges to slitting throats. They were even taught how to booby trap toilets in the grand country houses that the German heirachy would no doubt have taken over had they invaded. Now a panel has been created by the Coleshill Auxiliary Research team (CART) the team behind the British Resistance Archive, a group of researchers dedicated to finding out more about the Auxiliary Units. The panel provides information about the Auxiliary Units and the role that Highworth post office and its postmistress played. Tom Sykes, founder of CART said. “This is a remarkable story of an incredible woman and the part she played in one of the most secretive organisations of WWII. The bravery of Mrs Stranks cannot be underestimated. The life expectancy of an Auxiliary Unit member was just 14 days, and she was all too aware of the reprisals that had been meted out by the Germans to anyone found to be resisting or helping those that were. She never accepted recognition for her part in this secret operation and like many of those she screened, never talked to anyone about her role until her very last days. The panel is due to be unveiled on 20th August at 2pm at the Old Highworth post office. 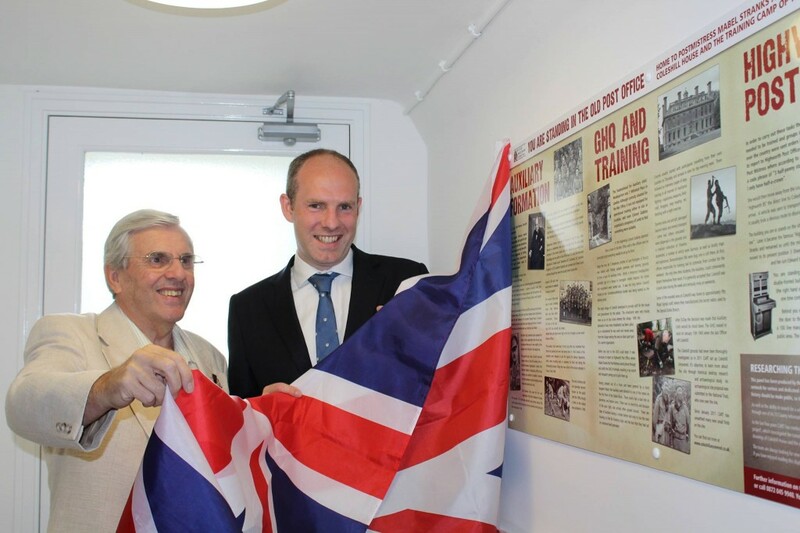 Justin Tomlinson, Swindon North MP and long time supporter of CART will be unveiling the information panel, Matthew Walker, current owner of the property will be attending alongside CART county information officer for Coleshill, Bill Ashby. All will be available for interview. About CART & The British Resistance Archive. The Coleshill Auxiliary Research Team (CART) publishes its findings on the British Resistance Archive (BRA) website. CART also provides an internal network for serious and dedicated researchers who focus on the British Resistance and agree with CART’s core value of making the research public. CART is made up of select volunteer historians and published writers known as County Information Officers (CIOS) and also public members. CART is not a business or an academic body of professional researchers. CART is non-profit making and has no financial support from any company or organisation. It is funded solely by donations and the revenue it makes from the sale of various items sold in the shop. Since CART’s birth in June 2009 the website has seen over 110,000 unique visitors and has attracted TV, Radio and national press attention. We have been given rare access to Hannington Hall in Wiltshire. 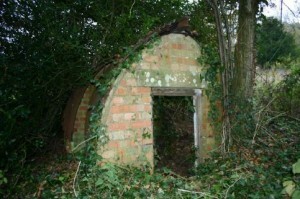 Hannington was used during WW2 as the HQ for the Special Duties Section. Coleshill (CIO) County Information Officer, Bill Ashby, was joined by Paula and I and the owner of the house, Mr.Wallace, very kindly gave up 2 hours of his time to give us a tour. Very little is still known about what went on at Hannington Hall so if anyone has any information then please contact us. CART has now paid Country Life Images a fee to showcase 10 images of theirs on the www.coleshillhouse.com website. The images are stunning and offer a detailed look inside the house which sadly burnt down in 1952. The images were first published around 1919. These images are copyright to Country Life Images.